Attractions abound in Fortaleza . Starting with the beautiful central border formed by the beaches of Iracema , Meireles and Fortaleza, united by the Avenida Beira Mar , a meeting point for tourists and residents in time for sunset . A 11 kilometers from downtown , the beach is perfect for a Future dip too stewardship – the various stalls offer not only the typical crab claws and crab baked snapper in coarse salt , but also fresh water showers , chairs , umbrellas and lots of entertainment. Around the city are kept and colorful asfalésias dunes that are the face of Ceará . Aboard buggies , are assessed on the beaches of Morro Branco and Fontes, on the East Coast or the Rising Sun. There is still Porto das Dunas , the scenario of Beach Park . The West Coast ( Sunset is ) is to highlight the lagoons of Cumbuco and good winds , which attract fans of windsurfing and kitesurfing . Metropolis of nightlife , Fortaleza ballad has all week – Monday , incidentally , is considered the most lively of the planet . It is worth checking the schedule of the Dragão do Mar Center of Art and Culture , with theaters , cinemas , concerts , museums and bars , or simply enjoy the modern architecture of the building. Be sure to also envision art nouveau façade of the Theatro José de Alencar , whether during a performance or through a guided tour . Time to taste the delicacies typical of the region , just set the menu and look at the map. 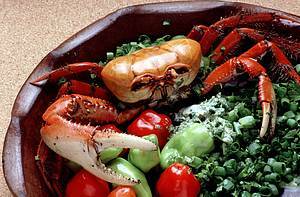 If the option is a tasty lobster address is apraia Curuípe where aportam the rafts full of seafood. The food from the hinterland , complete with balloon and two corned beef , is found in the neighborhoods of Varjota and Meireles , who also offer multi-cuisine restaurants . Ministry of Tourism Search that traced the profile of the tourists FIFA Confederations Cup Brazil 2013 shows that Fortress was the second most popular destination for foreign visitors during the event . With a share of 25.5 % , the capital of Ceará was second only to Rio de Janeiro , which had 67.5 % of tourists from other countries . In total , 15,567 people were interviewed in the study . Of this total 1,731 of them are foreign . The overall average of respondents ( Brazilian and foreign ) was R $ 1,348 for the trip . The survey also pointed out the cities that recorded the highest per capita spending , including national and outside visitors . In this aspect , Fortaleza also excelled this item, with a per capita expenditure of R $ 919.52 , reaching the second position among all the host city . Firstly , was the Rio de Janeiro ( R $ 948.70 ) again . According to the Brazilian Tourism Institute ( Embratur ) , about 283 thousand visitors are expected for the city of Fortaleza , during the World Cup 2014. They should spend about U.S. $ 1.5 billion . The average daily expenditure will be around R $ 534 and stay in the City will be 10 days. ” Data from the Ministry of Tourism and Embratur only show us how much we are specializing in and prepared to welcome even more visitors in our City . The Municipality of Fortaleza has done several actions , serving those who visit us and also leaving a great legacy for the population of Fortaleza , ” said Secretary of Tourism municipal, Salmito Son .